Shrewsbury Town have signed Bolton Wanderers striker Tom Eaves on an initial one-month loan deal. 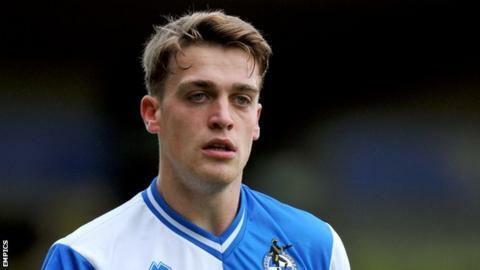 Eaves, 21, enjoyed a successful loan spell with Bristol Rovers in League Two earlier this season, scoring seven times in 15 matches. Shrews manager Graham Turner told the club website: "Tom is a striker who scores goals and holds up play. " Liverpool-born Eaves, who is 6ft 5ins tall, began his career with Oldham Athletic before joining Bolton in 2010. He recently signed a new three year contract with the Championship club. "Tom is a player who we've been trying to get into the club for a while now," added Turner. "He had options at a number of other sides, including ones higher up in our league, but Bolton and their director of football Lennie Lawrence thought the best option was for him to come here." Eaves is available for Shrewsbury's home game against Stevenage on Saturday.